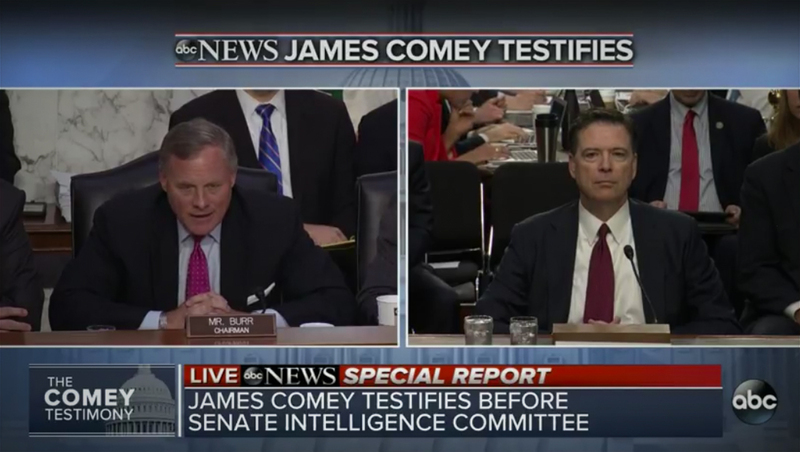 All of the major networks broke into regular programming to carry the live testimony of fired FBI director James Comey, complete with special graphics and opens. 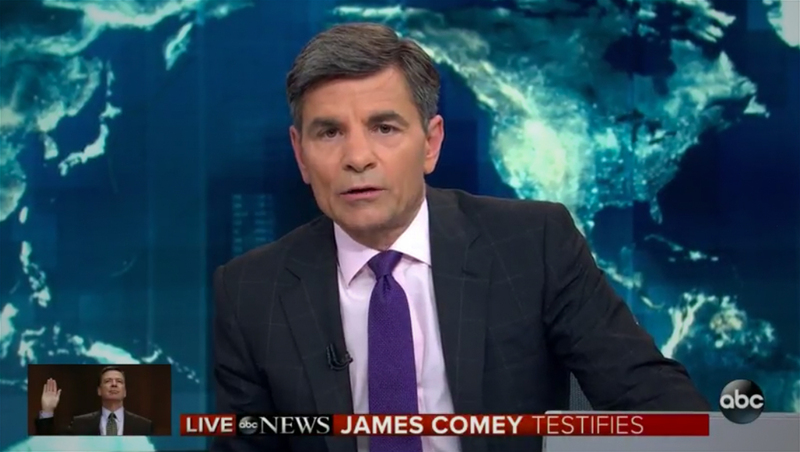 The network then cut to George Stephanopoulos at the anchor desk with the still image of Comey in the lower left next to a red and black bar. The network’s logotype was lighter on typography than its normal special coverage branding and also made use of red, white and blue stripe accents. Later in the report, the graphics switched to the normal special reports graphics tweaked slightly for the occasion, including integrating the stripe motif. 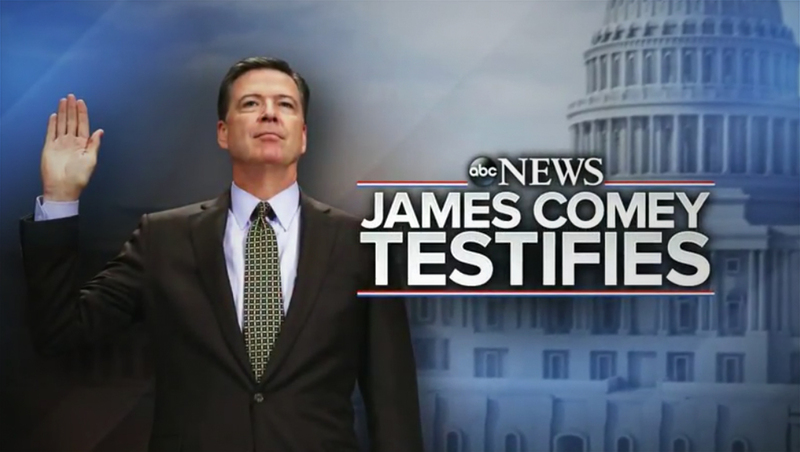 Oddly, the lower left corner of these graphics featured the branding “The Comey Testimony” despite the “James Comey Testifies” banner being used in the open and elsewhere in the insert graphics.